Utility companies have a legal obligation to maintain and repair their operations to ensure workers, innocent bystanders and consumers are free from harm. The utility industry involves many different types of needed operations including cable/Internet companies, natural gas suppliers, electricity suppliers, telephone companies and municipal, public or private water departments. Many types of accidents with injuries can happen when a utility is not properly maintained. Many individuals suffer serious injuries or death when shocked by electricity. An electrical shock can cause significant harm or death by electrocution. The shock can produce minor injuries including an uncomfortable tingling sensation or severe trauma and damage to body parts including extremities and internal organs. When intense electrical current passes through hair, muscles and skin it can cause electrothermal burns. In addition, high-voltage or ungrounded electricity can catch skin or clothing on fire. Flash burns can happen by generated electricity that can easily burn the skin, cause significant damage or death. 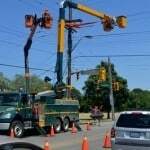 Electrocution occurs on roadways and in homes, commercial buildings and the workplace. It is typically the result of faulty electrical wiring caused by inattention or poor maintenance by the facility or utility company. In most cases, electrical shock, electrothermal burns and electrocution are the result of negligence by the consumer, maintenance department or electrical power provider. Gas explosion and exposure to natural gas, propane or petroleum can create serious injuries and fatalities. A serious accident can occur during the drilling process, transporting the gas, during delivery or through residential or commercial use by the consumer. Gas workers can be injured on the job and the consumer can be harmed or killed when equipment is improperly maintained or used. Nearly every type of utility company accident involving gas occurs because of negligence, recklessness or carelessness. As a result, many victims will hire a personal injury attorney who specializes in utility company accidents to handle a claim for compensation. Filing a claim or lawsuit seeking financial recompense against the utility company can be challenging. This is because many utility companies retain teams of attorneys to push back against liability claims filed by victims injured by the negligent or reckless action of the corporation’s employees. Usually, hiring a skilled personal injury attorney is the only effective option of obtaining recovery for all damages, losses injuries or death. If you have been injured, or a loved one has been killed in a utility company accident, hiring an attorney can help you hold the responsible company accountable for their neglect. In all likelihood, your injuries are catastrophic. Rosenfeld Injury Lawyers LLC specialize in personal injury claims against large corporations including public and private utility companies. We handle every aspect of your case to allow you to focus on healing. Our legal team of attorneys can assist you in planning your financial future. We fight aggressively on your behalf by providing legal counsel, advice and representation. Our lawyers have extensive skills to negotiate a fair out of court settlement. In the event that the utility company is unwilling to accept our demands for recompense, we will build a solid case and present the evidence in front of a judge and jury. Call the Rosenfeld Injury Lawyers LLC Hotline at (888) 424-5757 to schedule your initial, free consultation. We accept personal injury cases on contingency so all of your legal fees will be paid after we have successfully resolved your case for compensation.